Good Ground Miniatures is pleased to announce the following new additions to the So Far From God range of 10mm Mexican-American War figures. 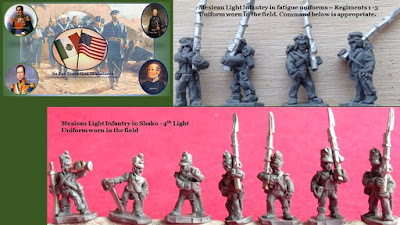 Light infantry is available in both Shako and Frocks for the 4th Light Regiment and fatigue uniforms for Regiments 1-3. 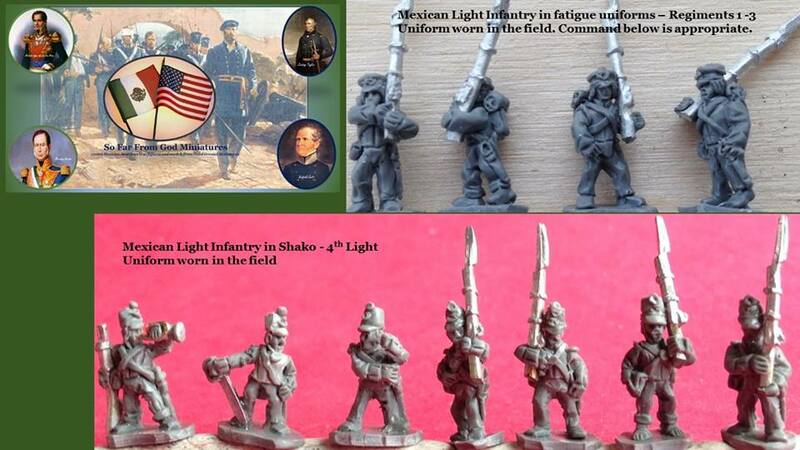 Command packs are three figures in shako as shown. Mexican line cavalry packs include six figures in four poses with fronk rank lancers and rear rank swords. 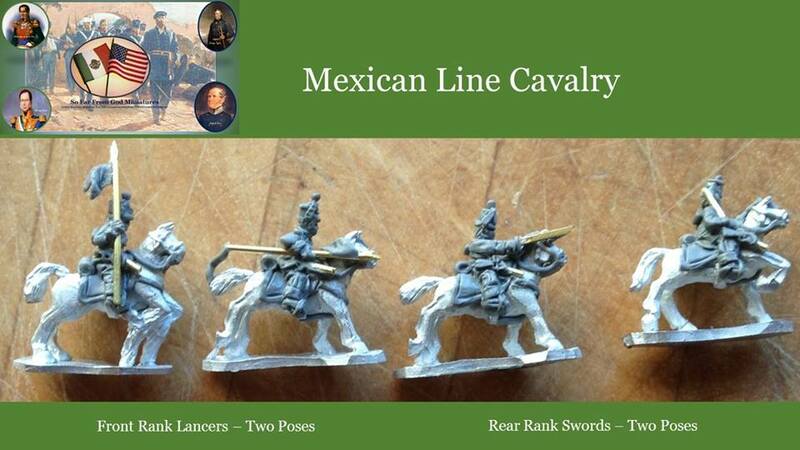 Command packs include three figures with bugler, officer and standard bearer as shown. There are several new items on the horizon for the Between the Lines range of buildings which will be announced in the very near future. Artillery is next up for the So Far From God range. 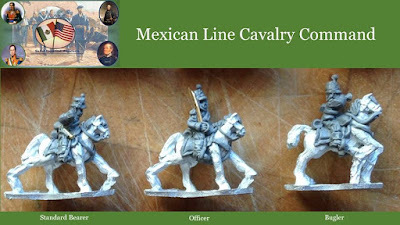 All the new figures are available for sale on the site.